This autumn the annual olive harvest takes place despite the escalation of violence in Israel and occupied Palestine. The harvest is an unbroken tradition of land cultivation which has been passed on from one generation to another. However this November brings an olive harvest without trees for local landowner Issa al Shatleh. 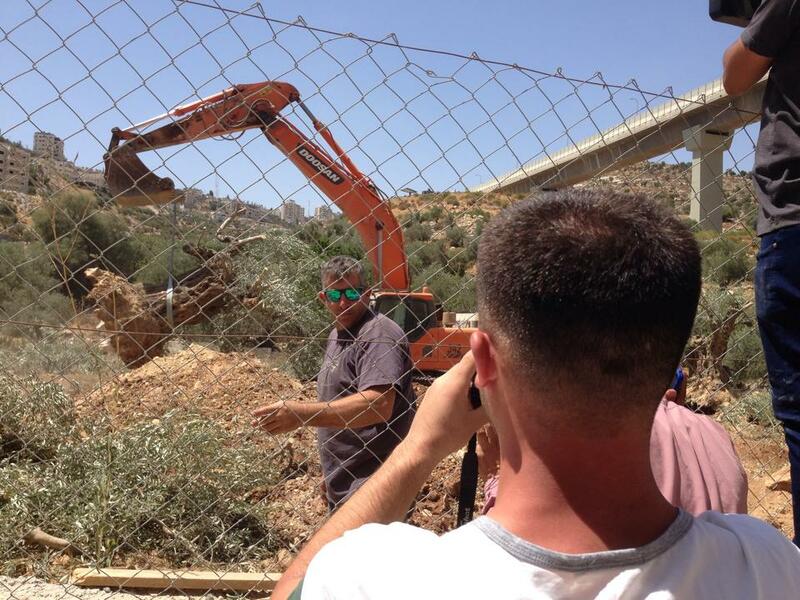 It is now over three months since the Israeli contractors began clearing the ancient olive groves in the Cremisan valley to make way for the expanding separation wall. 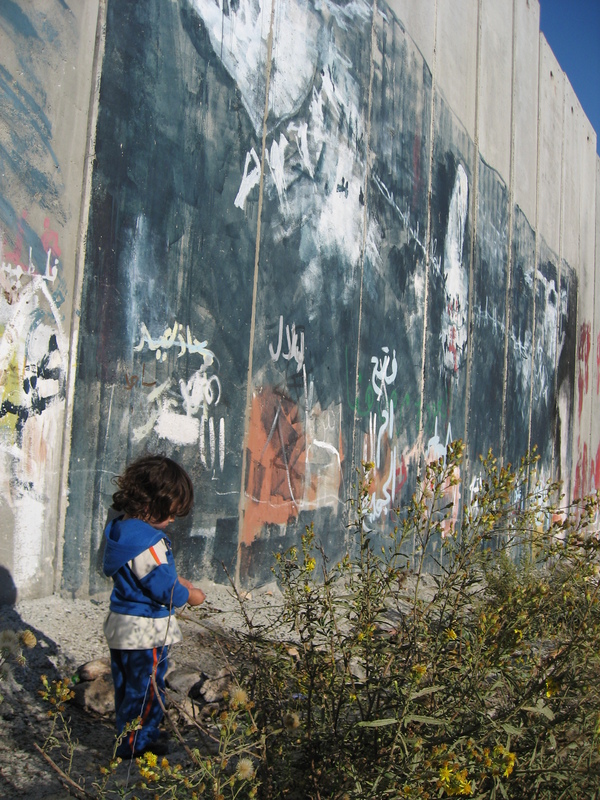 EA Tone, recently returned to Europe, writes about the events she witnessed and the stories she heard behind the wall in Bethlehem. “What will the Nativity church be if there are no Christians left in the area? The stones will be without spirit and soul.” Issa al Shatleh laments. 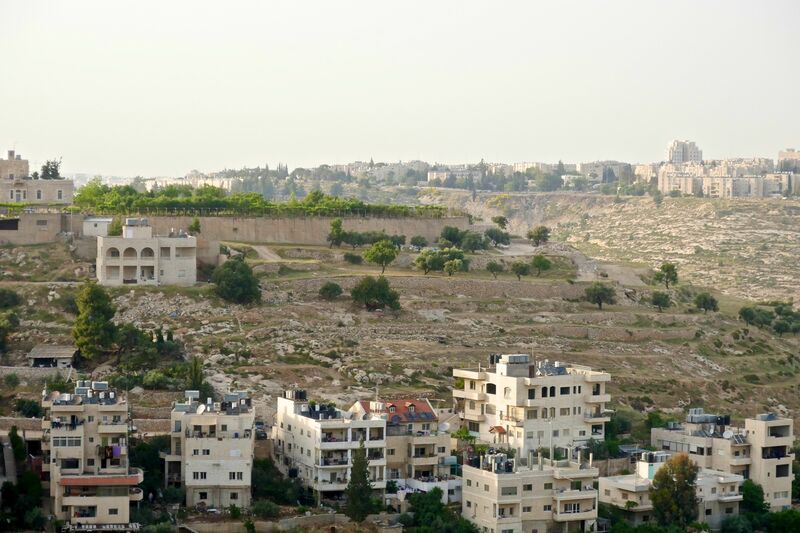 Bethlehem and Beit Jala are some of the oldest Christian communities in a troubled Middle East. As the construction of the wall continues through the valley threatening the socio-economic fabric of an already dwindling population, Palestinians fear that one of the oldest Christian communities in the world might disappear. 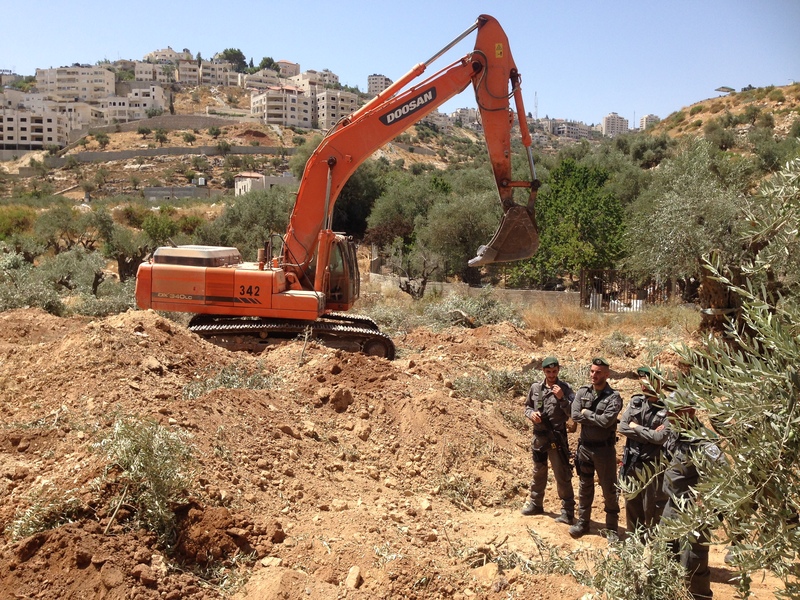 In August contractors, protected by the Israeli army, used excavators to dig, uproot and relocate ancient olive trees in an olive grove in Bir Onah. 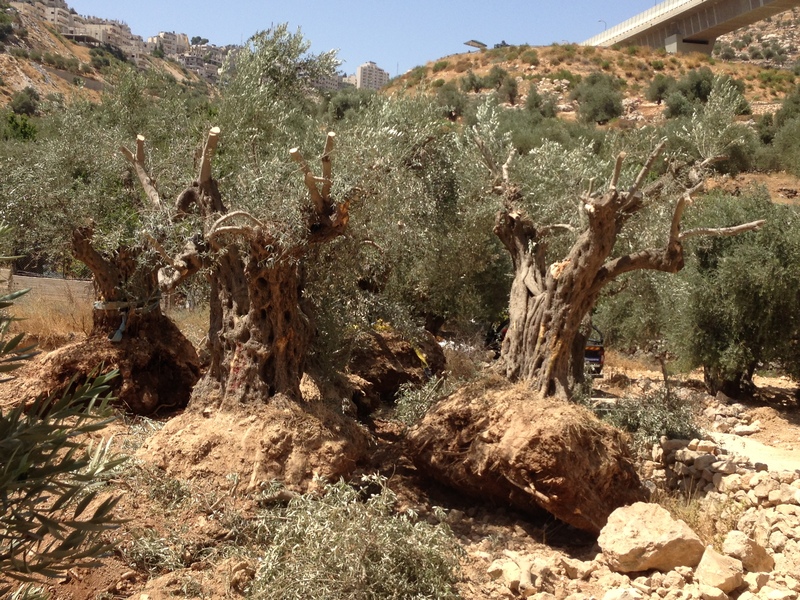 The uprooting took place at the bottom of the famous Cremisan Valley, near Bethlehem. The trees were uprooted to make way for yet another expansion of the separation barrier, three kilometres East of the 1949 armistice Green Line. As a result Beit Jala, with a Christian majority, will be cut off from its main places of worship in Jerusalem, which lies just 10 kilometres away. With this latest development the residents of Beit Jala in Bethlehem find themselves carrying yet another stone on top of the already heavy burden they carry under occupation. The cities of Beit Jala, Beit Sahour and Bethlehem make up the Christian triangle in Palestine. Due to a wave of emigration, particularly in recent years, the Christian population in the West Bank has been reduced to around 1-2 percent of the total population. This used to be 9 per cent in 1922. Beit Jala lies a few kilometres from the Church of the Nativity in Bethlehem, the believed birth place of Jesus. 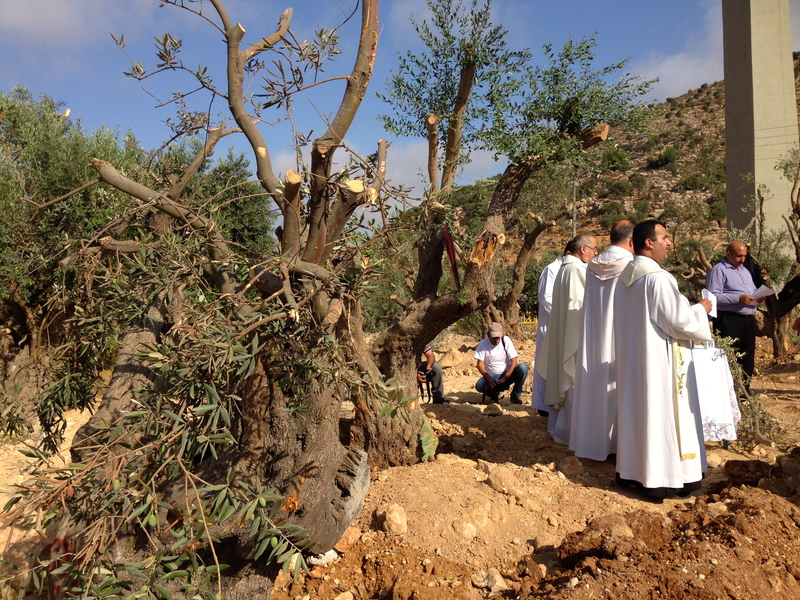 Some of the olive trees that were ‘excavated’ from the Cremisan are said to date back to biblical times. If the construction of the separation barrier continues, the valley will be severed in two and 58 landowners will be presented from accessing their land. The wall will surround the Salesian monastery and its convent, including the monastery’s winery that has been producing wine since 1885. The school for 450 Christian and Muslim Palestinian children is at risk of being surrounded by a wall that will measure up to 8 meters. The valley is also one of the few remaining green spaces for the locals. 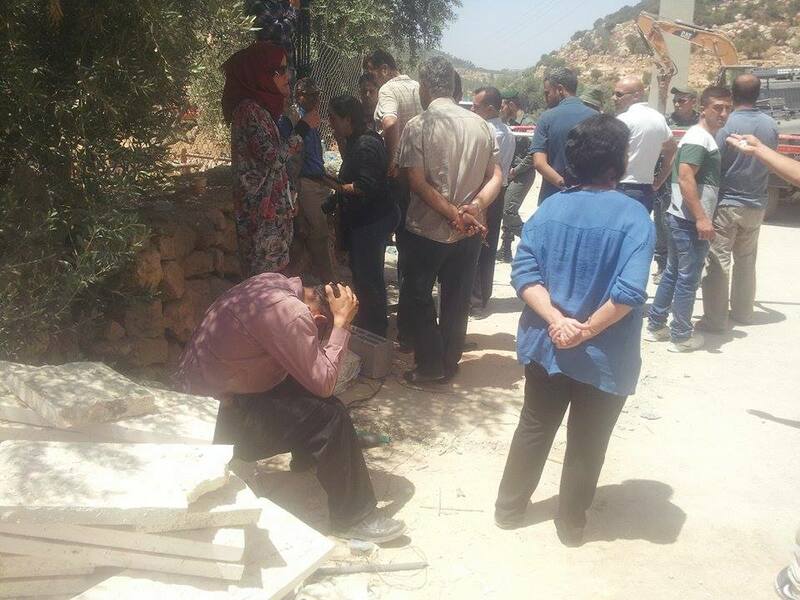 Issa al Shatleh, a landowner in Bir Ouna and a Beit Jala resident, recalled the morning when his family lost thirty olive trees. To him, the lost trees have value and meaning far beyond their monetary value. Each of the olive trees can give al Shatleh and his brothers up to 16 kilos of olive oil a year. Although some of the trees were eventually replanted on his land, others were carelessly replanted onto his neighbors land. Having watched his trees be uprooted and left on dry ground in the summer heat al Shatleh thinks that the damage to them is irreparable and that they will never bear fruit again. Al Shatleh has had other olive trees removed in 2008 when the barrier was expanded in the area. “The whole family used to go to the land for the olive harvest. Even the elders used to attend,” al Shatleh reminisces. Now it appears that the olive trees themselves have become symbols of the Palestinian connection to the land despite the occupation. Samia Khalilieh, chief of the income section in Beit Jala municipality, affirmed that the olive oil is a contributor to the economy. According to the World Bank, the Palestinian olive oil production adds 15- 19 percent to the Palestinian agricultural economy on a good year. Beit Jala is famous for the quality of its olive oil. “Palestinian Christians need support to continue living in Beit Jala”, says Samia Khalilieh and Issa Shatleh. 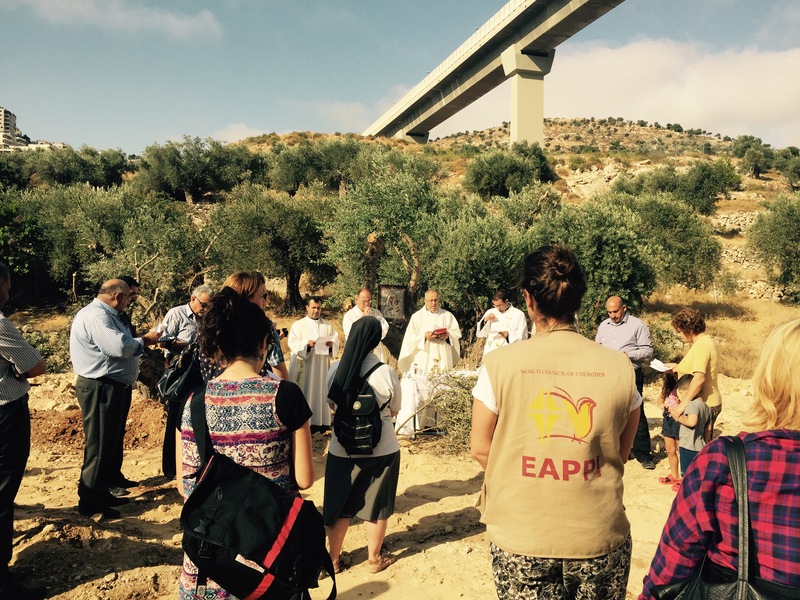 EAs from the Bethlehem team have attended prayers organized by the local church communities to protest the destruction of the olive grove, the confiscation of land and the walls expansion. 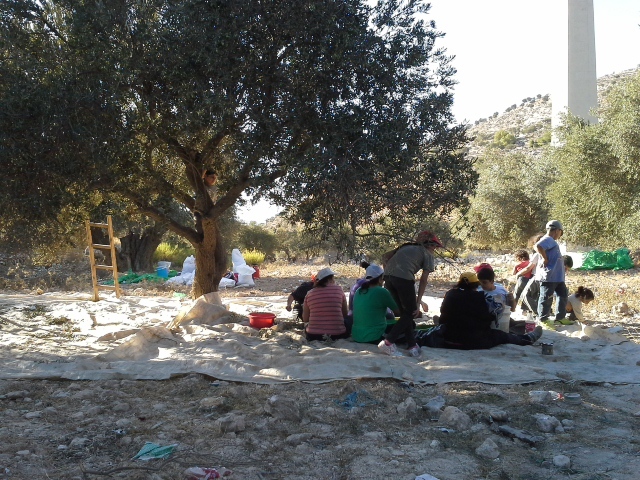 Despite local efforts and international condemnation the once peaceful olive grove is been gradually transformed into a site of both construction and protest. Israeli security forces have, on several occasions, fired tear gas and sound bombs against participants in peaceful demonstrations held on Sundays. Local families are waiting for a hearing of their petitions before the Israeli Supreme Court in November. According to the Israeli Foreign Ministry, the Cremisan valley constitutes a security risk as the wall is not complete and Palestinians can access Israel through the valley. Locals in Beit Jala contest the security argument. “Expanding the barrier, is constructing more hate”, says al Shatleh. From the bottom of the Cremisan Valley, locals of Beit Jala can look up to see illegal Israeli settlements of Gil and Har Gilo, which are situated on the highest point of the valley, overlooking it. This is not the first time local land has been lost. According to Beit Jala municipality, in 1967, over 22 per cent of land was confiscated to build Jerusalem’s borders. 24 percent was then confiscated in 1971 to construct Gilo and Har Gilo. Nor is it the first time for Issa al Shatleh to see his olive trees uprooted. In 2008, his trees were removed when the wall was extended. Har Gilo and Gilo are some of the 19 settlements or outposts located in Bethlehem governorate, where 100.000 settlers outdo one of the majority population groups. 29.10.15, Bethlehem, construction of the wall ongoing in the Cremisan Valley, on privatly owned Palestinian land. Photo EAPPI/I.F. In July, Israeli Supreme Court gave the green light for the Israeli Ministry of Defense to expand the wall. The expansion of the wall in this area is interpreted by locals as a means of linking the settlements Gilo and Har Gilo. These settlements together with the wall that will encircle Bethlehem thereby preventing the possibility of any natural growth for the city and the freedom of movement of its Palestinian population. 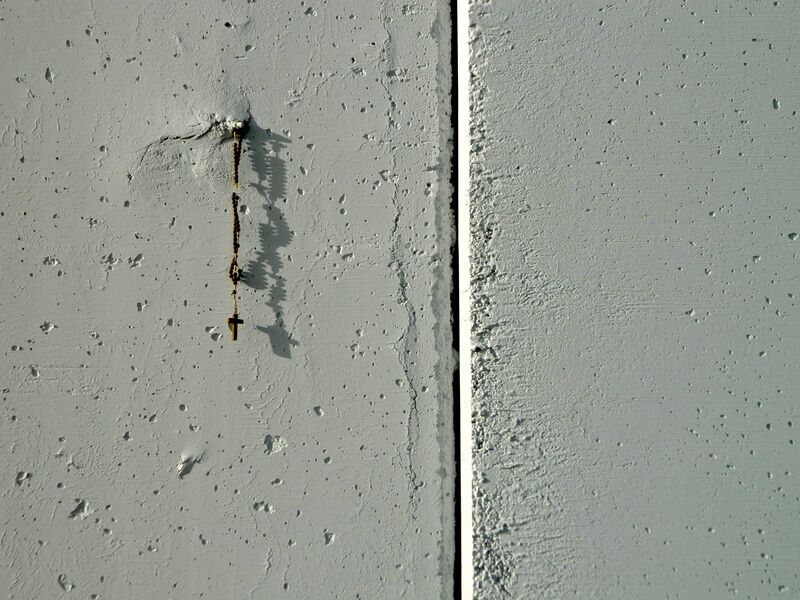 The International Court of Justice declared that the separation barrier is illegal according to international law in 2004. Many Beit Jala residents have moved to Chile and Latin America. The town currently has 12,000 Palestinian inhabitants. Al Shatleh is worried about the future of the Christian community in Palestine. Al Shatleh emphasizes that religious extremism in the West Bank is limited. Khalilieh is worried that religious differences will increasingly be used to divide communities. According to a survey conducted by the Christian organization Sabeel in 2006, 44 percent of the Palestinian Christians in the West Bank said work was the primary reason for emigrating while 42 % mentioned the difficult political situation as the first raison. 3 % mentioned religious fanaticism as their main reason for leaving. In the same survey, 14 % of Christian Palestinians in Israel, though emigrating in much smaller numbers, listed religious fanaticism as a primary motive for leaving. “We are one family. Whether we are atheists, Christians or Muslims, we are Palestinians”, al Shatleh said. “One of my children is studying in Ramallah. When he is on his way home, I am afraid that there will be clashes. My other children are studying in Germany. I do not worry for them the same way. 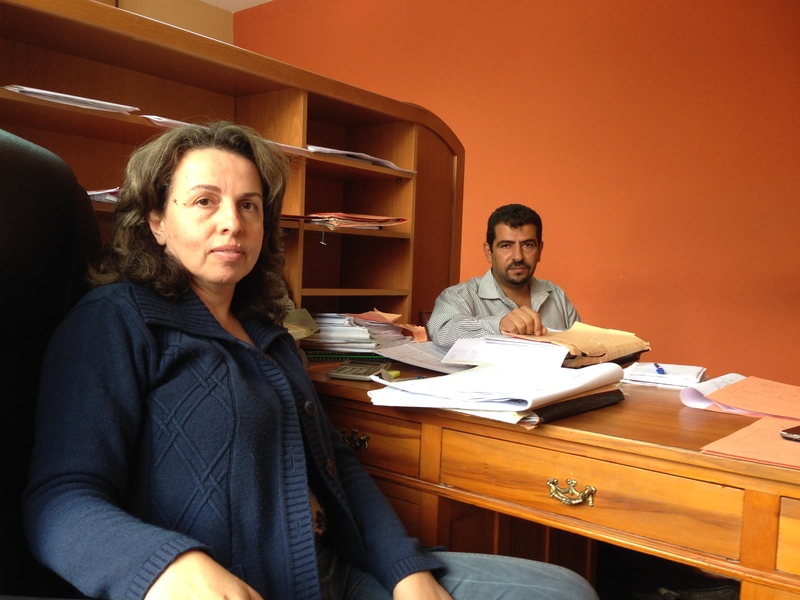 This unconscious way of thinking is leading our children out of Palestine,“ says Khalilieh. “You feel that you have something to defend. We must stay here to protect our soil. I had the possibility to move to France and Sweden. But something brought me back. There is something about the place, the atmosphere, the nature in Beit Jala and the local churches. It is the society itself,” Khalilieh said. Lawyer Rock Alfred Rock Rock, a Christian Palestinian, spent his childhood in Bethlehem, where he now runs a law firm. But the Christian exodus has been going on since the late 1800s. Many Christians had a larger network abroad than Muslims, Rock explained. 35 percent of Christian Palestinians in pre-1948 mandate Palestine, became refugees as the Nakba happened. Before the Six Day War in 1967, Christians also had higher education and income. This made it easier for them to migrate. After 1967 it has become increasingly difficult for Christians to find work, according to Rock, who said Muslim neighbours worked hard to improve their living standards, educational level and were increasingly able to buy more local land. “There are no programs to retain the Christian Palestinian population. My son is a lawyer and he does not see himself selling wares to tourist as so many of his peers do in order to make a living. He is considering moving. I’m the only person who keeps my children back in Palestine. After I die, no one will hold them back here,” said Alfred Rock. He predicts that the Christian population will disappear from Bethlehem in about 20 years. Bethlehem, which consisted of 80 percent Palestinian Christians in 1947, currently has a Christian population of around 20 percent. 10 per cent is said to have left the latest decade. 02.10.15, Bethlehem, Palestinian Christians and international pray for peace and and end to the occupation ‘The Wall Prayer’, Photo EAPPI S. R.
The citizens of Beit Jala, al Shatleh and Khalilieh, believe that Bethlehem needs international support to retain its Christian population. 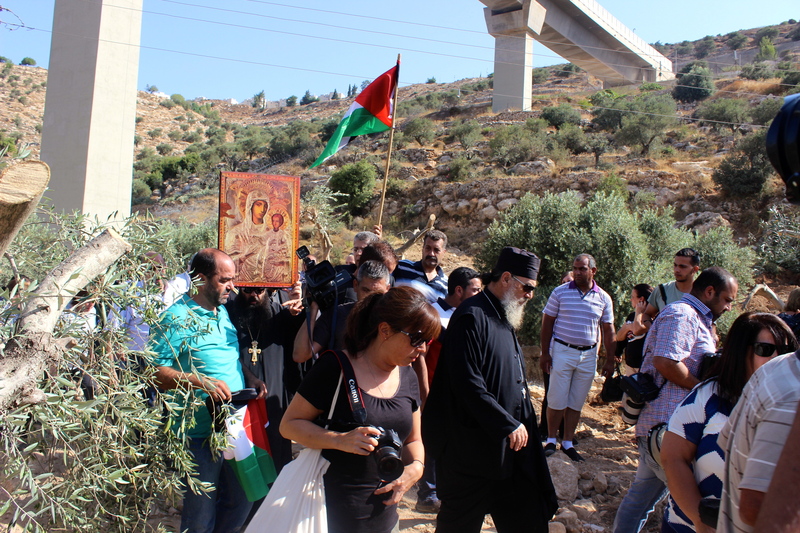 “Does the international community know that there are Christians in Beit Jala? What will the Nativity church be if there are no Christians left in the area? The stones will be without spirit and soul. We are fighting every day to stay. But we still live and exist here,” says al Shatleh. Please take action now and sign the petition. This entry was posted in Access to resources, Freedom of movement, Freedom of worship, Land confiscation, Local peacemakers, Palestinian Christians, Palestinian culture, separation wall, Settlements and tagged access, bethlehem, children, displacement, freedom of movement, human rights, International Humanitarian Law, israeli army, loss of livelihoods, olive harvest, Palestine, Separation Wall, west bank by EAPPI. Bookmark the permalink. This article was originally posted on blog.eappi.org. I re-blog it here with thanks.